From Valet Hugo Mãe creates an enchanting solo of pure physicality. 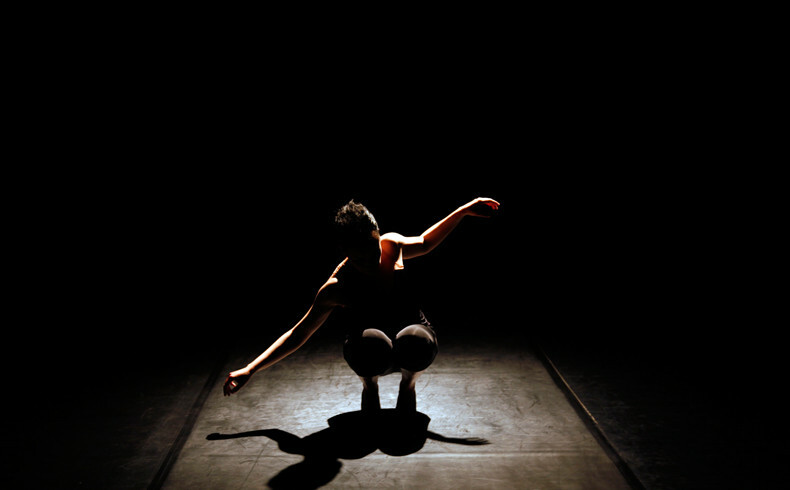 Trained in classical and contemporary dance, the Portuguese artist Tânia Carvalho moved to Lisbon in 1995. In 1997 she began her career as a choreographer and in the same year launched a biennial training programme in contemporary dance for performers at the Forum Dança (Lisbon). There she met Filipe Viegas and Clara Sena, who invited her to join a newly created group called Bomba Suicida. Tânia Carvalho is co-founder of this group, with whom she continues to develop her work. In 2005 she attended the choreography course on the artistic and creative programme funded by the Calouste Gulbenkian Foundation (Lisbon). Tânia Carvalho also explores the realms of music, which has resulted in projects such as Ideolecto (2013), Moliquentos (2011), Trash Nymph (2008) and Madmud (2007). She has studied piano and music theory with João Aleixo, Diogo Alvim and Yuri Popov. In addition, she maintains some contact with the plastic arts and sporadically devotes time to drawing. During the first SÂLMON< festival, Tânia Carvalho presented Icosahedron, with twenty dancers onstage.